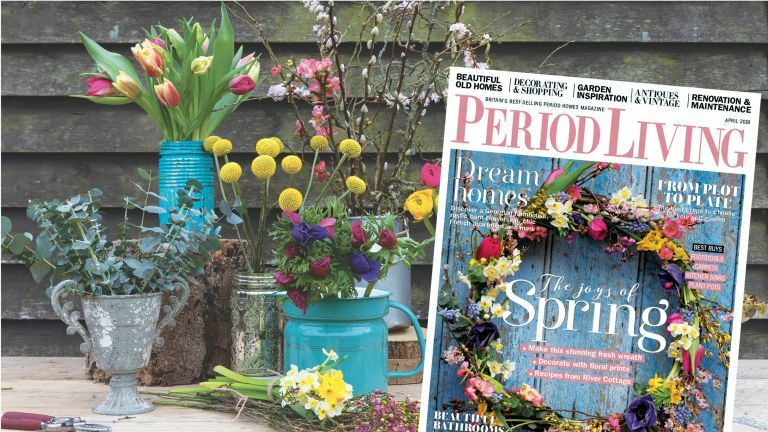 A subscription to Period Living magazine is the perfect source of inspiration for anyone who owns an older property, or just loves characterful style. Providing all you need to know about decorating, maintaining and improving a period home, as well as features on gardens, antiques and vintage, heritage icons and days out, Period Living is a complete lifestyle package. Want to give it a try? We've put together a fantastic subscription offer for our Spring Sale, meaning you can enjoy five issues of the the magazine for just £5 - that's a saving of over 80%. It means you'll never miss an issue of your favourite magazine as we'll deliver it straight to your door every month. It's too good a deal to miss! So don’t delay and get Britain’s best-selling period homes magazine delivered every month to you or a lucky recipient by signing up to this exclusive deal today.